“They’re called the WHAT? 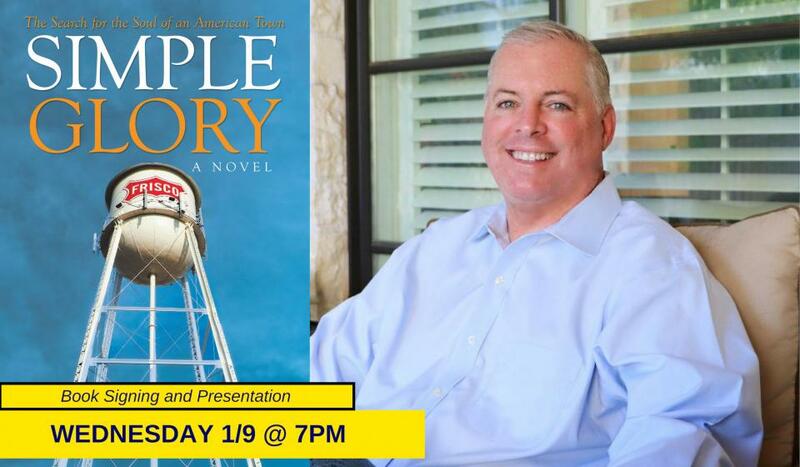 ” Young California journalist Marshall McDougal can’t believe what he sees on the water tower that welcomes him to his new home of small-town Frisco, Texas. Within hours of taking up his first newspaper job, he finds himself smack in the middle of a battle royal for the soul of the town, all centered on the racially-charged nickname of the high school sports teams. SIMPLE GLORY follows Marshall as he navigates through a dizzying array of opinions, facts, stories, histories, legends and traditions, which leads him to find out just how hard some people are working to keep Frisco from changing . . . even as others hold out hope that the new century will mean a new Frisco. (And seriously, what ABOUT that name?) Can this fish-out-of-water find his way? Will Frisco find its way? Can a small town maintain its soul even as it grows and expands with the times? Find the answers-and perhaps create some of your own-with this dramatic yet heartwarming story about a changing America at the dawn of the 21st century.